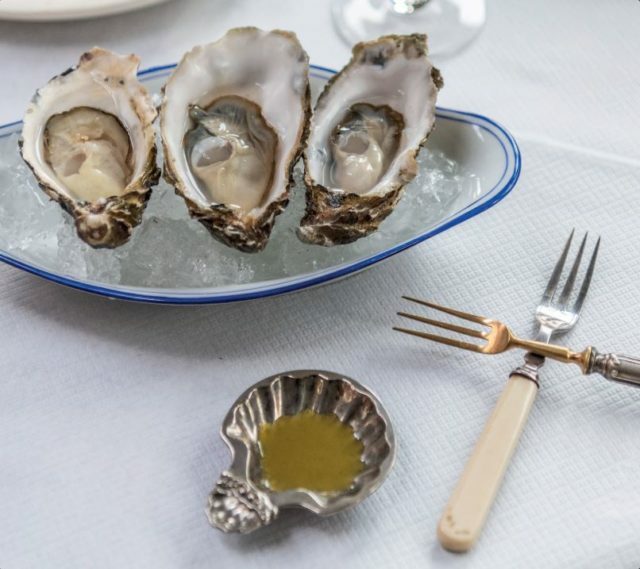 The London Shell Co. is set to launch The Grand Duchess which will open on a permanently moored boat beside the team’s debut venture on Regent’s Canal in Paddington, offering seafood and sparkling wine. Founded in 2015 by siblings Harry and Leah Lobek, The London Shell Co. opened restored cruising wide beam barge The Prince Regent in 2016, in collaboration with chef Stuart Kilpatrick. The new forty-cover boat will offer a menu focused on British cuisine, with over 90% of their seafood sourced directly from Cornwall and a wine list celebrating English sparkling wine. Moored on the Grand Union Canal at Paddington Central, guests will have the opportunity to dine outside on the bank of the canal, while The Captain’s Table, a private banqueting space in the bow of the boat, will accommodate parties of between six and thirteen. A selection of small plates and sharing platters will be available alongside the lunch and dinner menus, with a choice of seafood-based nibbles to accompany the sparkling wines on offer. The menu promises to feature dishes such as beer battered lobster with fried curry leaves and ‘chip shop curry sauce’; monkfish with wild garlic Kiev, new season lettuce, croutons and anchovies; and a surf’n’turf 500g dexter rib with grilled Langoustines in garlic butter. The wine list will offer 50 sparkling wines and is designed to “celebrate small producers and undervalued regions,” with a choice of seasonal cocktails also on offer. The Grand Duchess will open on 10 June, with the restaurant accepting bookings from 14 May.